Jack Hollingsworth, a denizen of Austin, TX, is an award-winning, 30-year career veteran in commercial photography. Jack has fallen in love with his iPhone camera as his primary capture tool. He is also an avid Camera+ devotee and has been since day one. He deeply believes that, when all is said and done, the iPhone may just be remembered as the most influential capture device ever in the history of photography. Remember in auto mode, the iPhone camera doesn’t know what your creative intentions are for any given photograph. When you shoot in auto you are, in fact, relinquishing creative control to the camera. Now, in all fairness, the iPhone, even in auto, does quite a remarkable job in determining exposure, focus, white balance, shutter-speed and ISO. And it does so, all behind-the-scenes, without you ever even knowing what is happening. But auto is not fool proof. 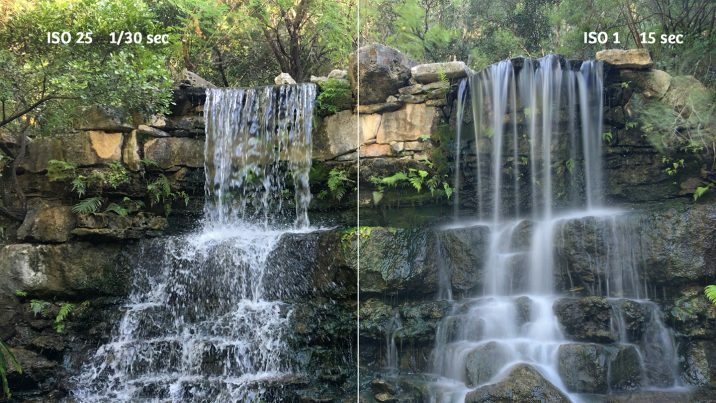 There are many lighting conditions that will fool your in-camera iPhone meter and generate bad results. For these special circumstances and scenarios, understanding manual control will put you back in charge, and empower you to precisely execute your creative intentions. So get to know your manual controls, and you’ll be happier for it. And your photos will stand out from those who exclusively rely on auto. I’m not suggesting you always shoot in manual – heavens no. You don’t need to, because in bright light conditions the iPhone auto does a really decent job at giving you just what you’re looking for. No fuss, no muss. I would say I shoot roughly about 80% of the time in auto. Leaving only 20% of my time shooting in full manual control for those tricky and problematic scenes – backlight, high contrasting light, predominantly white objects, predominantly black objects. Even if you primarily shoot in full or a modified auto mode, it’s important to fully understand the technology going on under the hood. That way you can seamlessly dance between auto and manual without ever missing a step. 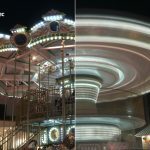 For every photograph you ever take, even smart phone photos, there are three factors that determine optimum exposure – aperture, shutter-speed and ISO. 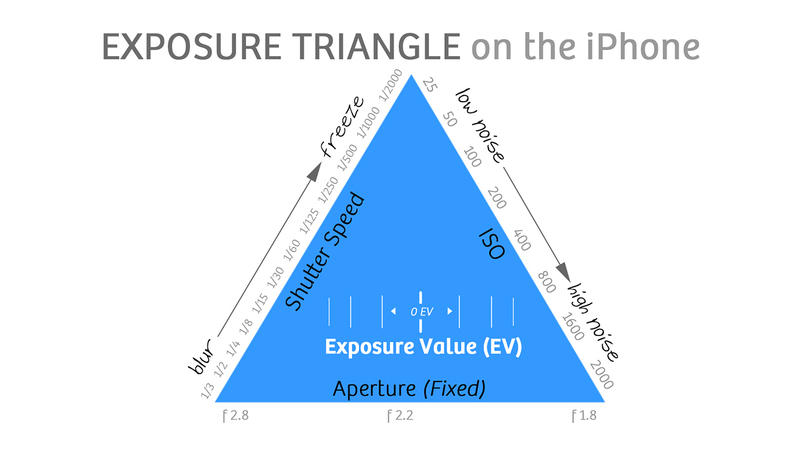 Aperture is the intensity (or quality) of light hitting the sensor during any given exposure. 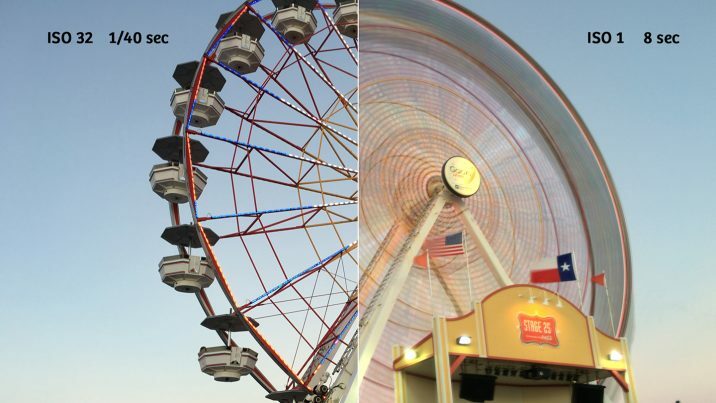 On the dual-lens iPhone 7 Plus, the wide angle (28mm equivalent) has a maximum aperture of f1.8, while the component telephoto (56mm equivalent) has a maximum of f2.8. The iPhone aperture is fixed. In other words, it stays the same regardless of what the shutter-speed or ISO is doing. Shutter speed is the duration of light hitting the sensor, and ISO sets the amount of light-sensitivity for the camera sensor. Keep an eye out for the next video in this series where we will be looking more in depth at ISO and how it practically affects your photographs! Shutter speed is measured in seconds or fractions of a second. 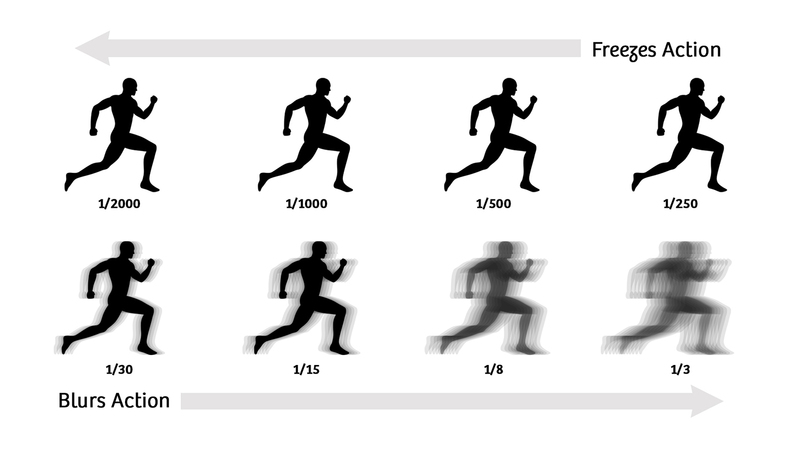 For example, ½ second is “slower” than 1/1000 second and 1/500s is “faster” that 1/60s. Short shutter speeds are generally used to freeze action. Longer shutter speeds are used to blur action. 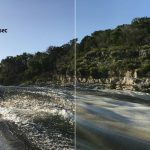 Shutter speed values double with each setting. For example, 1/500s is letting in twice the amount of light as 1/1000s. As you go down the shutter speed scale, the amount of light being let in doubles. As you go up the scale, in each setting there is half the amount of light being let in. Once again, the iPhone camera doesn’t really know what your creative intentions are for any given photograph. 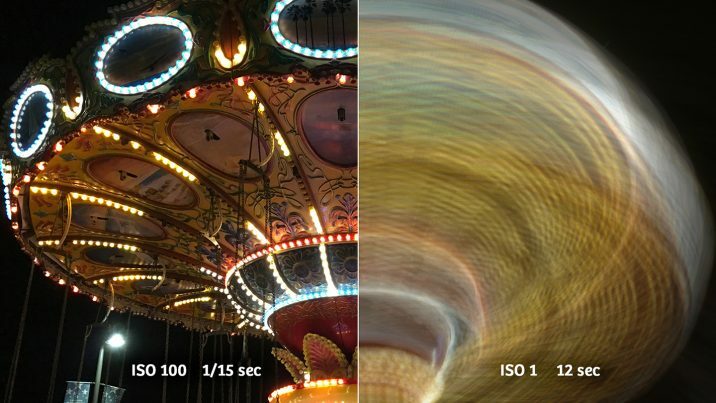 So it’s important to know the effect that “fast” and “slow” shutter speeds will have on the final look of your photos. “Fast” shutter speeds (i.e. 1/2000s, 1/000s, 1/500s) will freeze your action – making people running or water flowing in a river appear tack sharp. “Slow” shutter speeds (i.e. 1/30s, 1/15s, 1/8s) will blur your action, turning those moving objects into soft blurs. Listen carefully – this point is so important. Once I learned how the iPhone handles shutter speed and ISO, it changed everything for me. It brought a whole new sensibility to how I crafted my exposure. You see, in auto mode the iPhone camera combines both shutter speed and ISO. They are inseparable and always work in tandem. In bright light, the camera defaults to the lowest practical ISO (i.e. ISO 25-100) and the highest practical shutter speed (i.e. 1/8000s – 1/500s) for these situations. 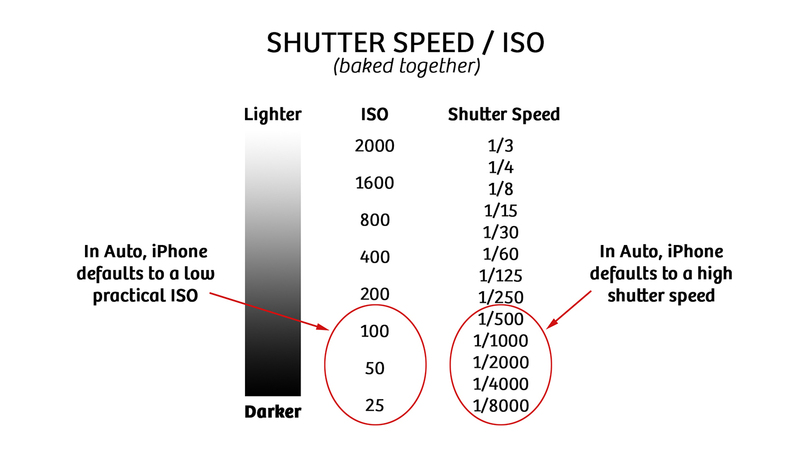 As you need more light, the ISO remains practically low and the shutter speed gets “slower”, meaning the shutter is allowing more light to the sensor. Once the shutter speed goes all the way down on the scale to where it is practical for getting a crisp photo (i.e. 1/125s – 1/30s), the ISO increases all the way to ISO 2000. The important point I’m making here is that the iPhone camera is optimized for shooting at “fast” (high) shutter speeds. And remember, these fast shutter speeds are used for freezing motion. 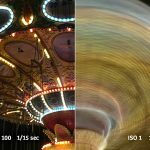 So if you want to shoot at a “slow” shutter speed, then you’re going to need to use a third-party app that gives total manual control over shutter speed and ISO. Enter Camera+. 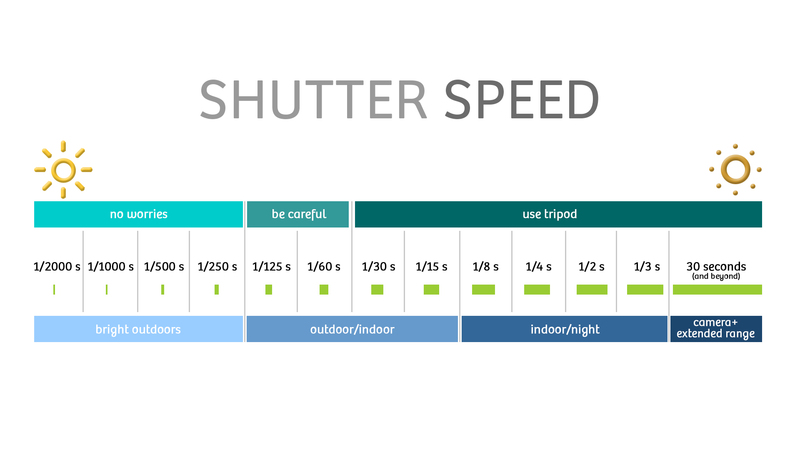 This is a basic chart to help you navigate different shutter speeds. 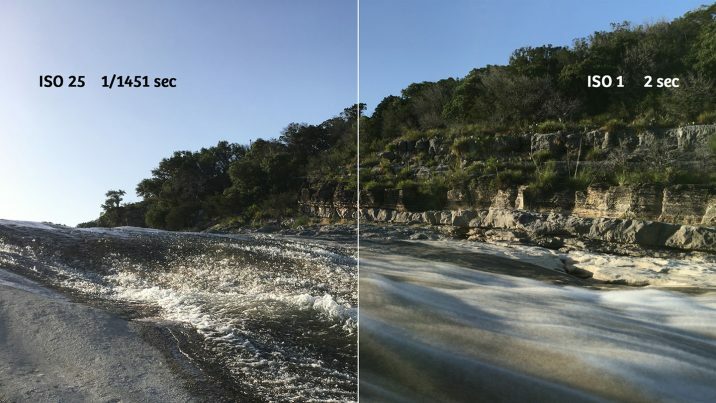 Most iPhone models have a similar shutter speed range. This chart is based on the iPhone 7 Plus, as well as including the extended shutter speed range (up to 30 seconds) when you use Camera+. By the way, since the native app doesn’t display “live exposure data” (shutter speed and ISO) you are going to need to use a third-party camera app, like Camera+. 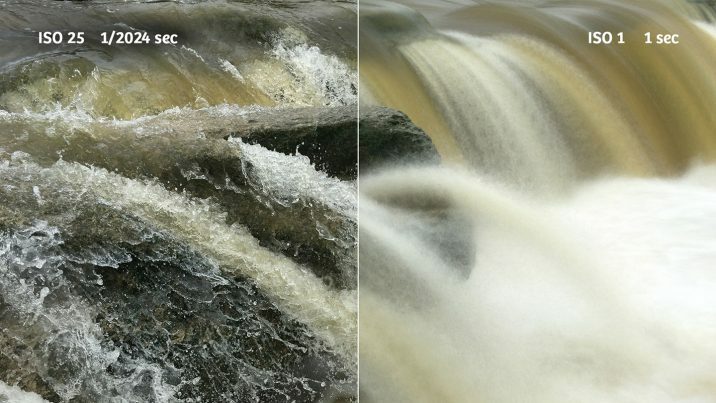 While you are shooting it lets you see what shutter speed and ISO setting your camera is on. Being able to see this exposure metadata live is beneficial because after the photo is taken, it is of little value. 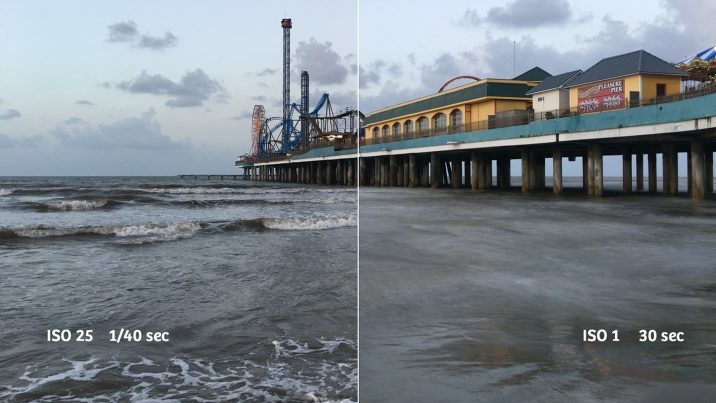 This is critical in determining how sharp or blurry your iPhone photos will be. 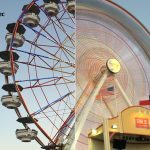 Fast or high shutter speeds (i.e. 1/500s and up) will freeze your photographs. Slow or low Shutter Speeds (i.e. 1/13s and below) will blur your photographs. Based on my own style of shooting, I’m pretty steady up to around 1/60s. 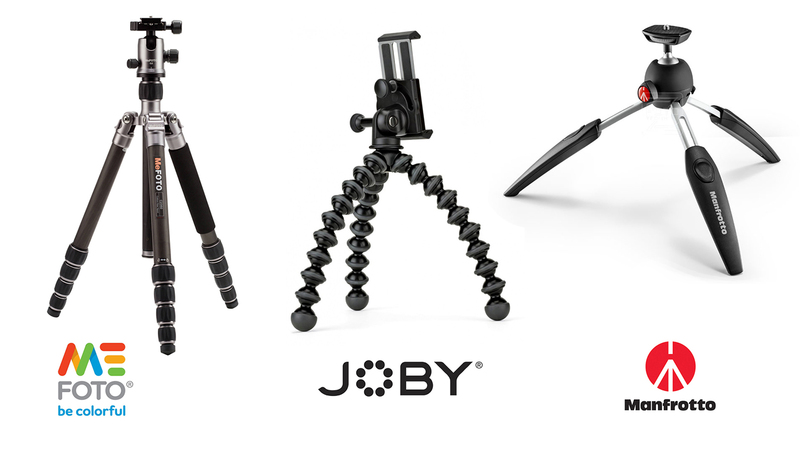 But once the shutter speed dips below 1/60s, out comes the tripod. If I am bracing myself against something, possibly holding my breath as well during exposure, then I can often hand-hold my exposures to as long as 1/15s. Hi Jack, I’ve been using Cogitap’s Slow Shutter Cam for years (going back to the iPhone 4S) for long exposure photography. It has a couple modes (Motion Blur, Light Trails and Low Light) plus it shoots in “Bulb”. I’ve had Camera+ for several years as well. Will give its long exposure capabilities a look on my next photo adventure. 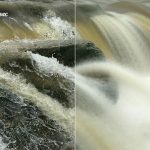 How do I find the shutter speed settings on iPad Pro 9.7? I just downloaded Camera + and watched your fine videos. My intent is to use my IPhone 5 to take capture images of the moon and several planets through my telescope using the TeleVu FoneMate adapter. This works well already, but I want to increase the shutter exposures to 10-30 seconds and purchased Camera + with this mind. However,I have found that the slowest shutter speed that I can get with Camera + is 1/2 second. 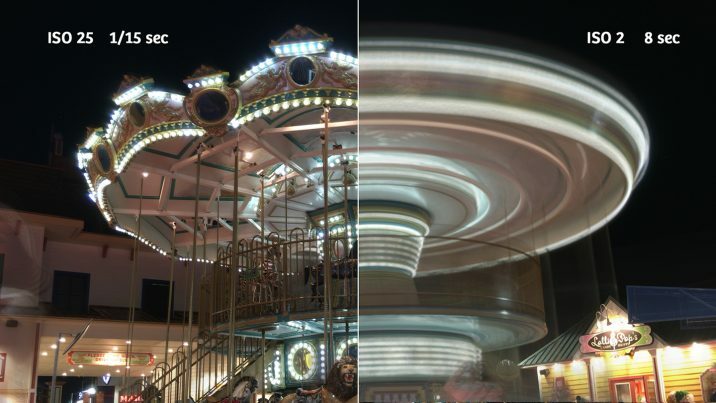 Is the shutter speed limited on the IPhone 6 to 1/2 second? Any suggestions? Hello Jack. I noticed a small goal about slow speed. This works very well in normal and low light. But in strong light, style at the seaside with a fairly powerful sun, it is not possible to obtain a suitable image. The screen remains blank. Excited to take some Aurora pics with my husband who has a Canon camera to take his photos. I don’t want to spend mega bucks on a camera if I can do this with either the camera + app I’ve purchased or I need to get another app for great night pictures. I would be very thankful if you continue with quality what you are serving right now with your articles…I really enjoyed it…and i really appreciate to you for this….its always pleasure to read so….Thanks for sharing!! I would be very thankful if you continue with quality what you are serving right now with your articles…I really enjoyed it…and i really appreciate to you for this.Thanks for sharing!! Hello Cathy, first of all you have to adjust your preferences by going into the advanced settings. Then select the Always Show option and the Real Time Exposure option. Then check the shutter priority. Now go back to your camera +. Click on the small thumbnail at the bottom in the middle to enter the “seconds” and “ISO” settings. You can now lower the duration with the small arrows on each side. 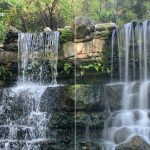 Thanks for sharing information about Long Exposure shot on iPhone. Really a great post. I have read this marvelous post. I really like that. Thanks so lot for your convene. Many thanks for the exciting blog posting! Simply put your blog post to my favorite blog list and I was actually going through the nice helpful tips from the blog and I put respect to the writer of this post. Does anyone know if there is a manual for the iPhone app “Manual” Its mostly self explanatory but there are a couple of points I don’t get. Hi there, Jack! Thank you for this article. 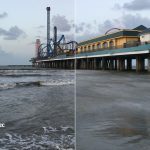 For creating better quality photos I’m using this tool https://macphun.com/luminar/photo-effects. It’s reaaly good on Iphone photos! Greetings, well put together website you have got presently.